From the brand that harnesses the volcanic power of Jeju, DCS helps you embrace the youthful and dewy skin of Korean women with its anti-ageing range, NUTRIDERM. Keeping away fine lines with the powerful anti-ageing properties of the rare Korean ginseng berry, this NUTRIDERM range is gentle on the skin and kind on the wallet. The Korean ginseng berry can only be harvested once every four years over a seven-day period, giving rise to its rarity and value. Its powerful anti-ageing properties make the Korean ginseng berry a prized ingredient in Korean skincare. 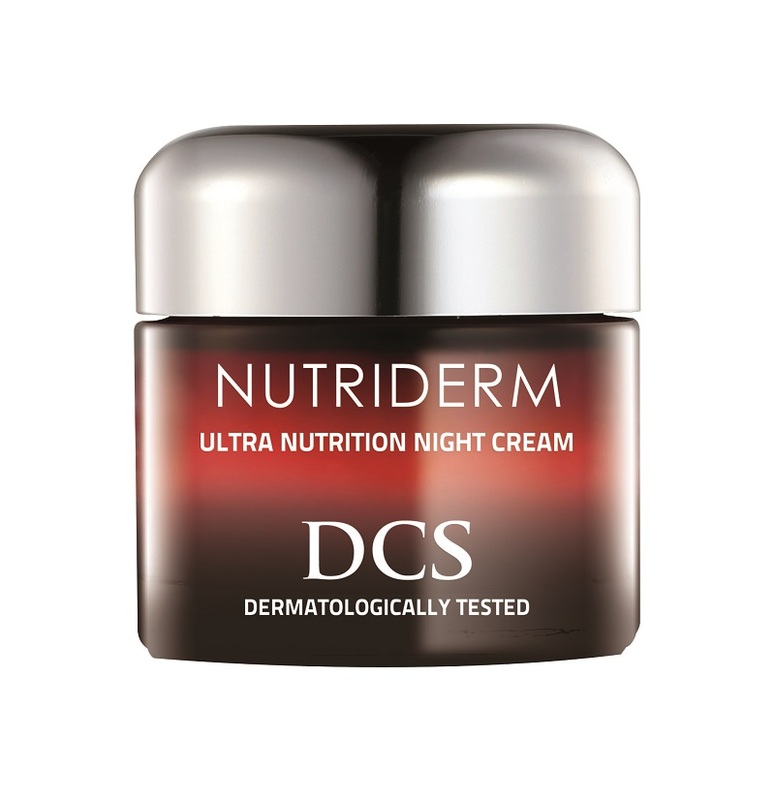 DCS NUTRIDERM offers premium ingredients at a modest price. The secret to the Korean ginseng berry’s restorative power lies in its high concentration of ginsenosides. It contains twice the number of ginsenosides as compared to the more well-known and frequently used Korean ginseng root. Ginsenosides have excellent anti-oxidant properties, protecting one’s skin from the everyday stresses of the environment by fighting free radical damage. Our skin develops wrinkles when it loses the elastin, collagen, and hyaluronic acid found within. On top of protecting our skin from the outside, the Korean ginseng berry increases the hyaluronic acid found in our skin cells, giving our skin a natural, supple glow from within. Other than the Korean ginseng berry, another key ingredient that gives skin its dewy nature is Jeju’s volcanic seawater. 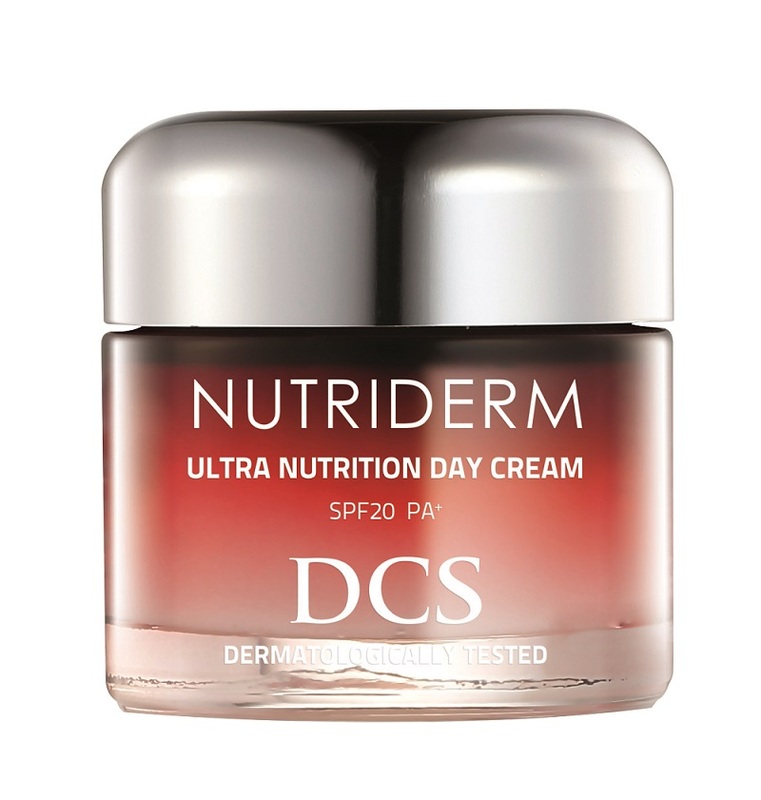 Just like all DCS product ranges, the anti-ageing NUTRIDERM range is also infused with the pure, skin-loving water from Jeju. The volcanic seawater is highly-valued for its rare mineral content such as selenium, zinc and iron, all of which are crucial to skin health because it repairs and regenerates the skin. It has been highly purified of pathogens and heavy metals by passing through volcanic basalt rock for thousands of years. Koreans, fans of gentle, water-based skincare, enjoy using products incorporated with nutrient-rich water. You, too, can transform your skin to naturally beautiful, healthy mulkwang-pi-bu skin, which Korean women have come to be famous for. Youthful, glowing skin has to be maintained and preserved over time – one must start incorporating anti-ageing products as soon as we can, as the skin starts to age naturally by the mid-twenties. If you wish to achieve a glowing, youthful appearance, NUTRIDERM presents four products to incorporate into your daily regime: Ultra Nutrition Toner, Ultra Nutrition Ampoule, Ultra Nutrition Day Cream, and Ultra Nutrition Night Cream. For more brand information, please visit our website at http://www.dcs-korea.sg/.